Given today’s “news,” I offer the following. The theme for this issue was “Earth Attacks! !” Even with my desktop magnifier, I can’t decipher all the words in the teaser on the cover of this issue, as pictured online. I can make out, though, “crazed capitalists…and the race to conquer the cosmos.” So you get the gist…. Given that many of those same “swashbucklers” who were pitching the commercial development of space in 2006 are pitching same today – Utne cited Virgin Galactic’s Richard Branson, Eric Anderson of Space Adventures and Planetary Resources, Elon Musk of SpaceX, and Bob Bigelow of Bigelow Aerospace – I thought I’d share a few passages from the piece. “Today’s space enthusiasts say the new path to profit [in aerospace] is tourism that will truly be out of this world. And the media have chimed in with breathless stories about ‘the final frontier’ which, roughly translated, means ‘free market’,” Lobel wrote – remember, in 2006. “The buzz started in 2001,” Lobel claimed, when Space Adventures brokered a $20 million deal for Dennis Tito to and from the International Space Station via Russian rocket. I recall that talk of space tourism (was it buzz? I think so) and breathless media coverage of it goes back at least to the early ‘80s (when I started paying attention, as editor of Space Business News), if not earlier. IMHO – based on decades of observation and several years of working for a corporation – the corporate drive for profit is blind to unfairness, injustice, and suffering. 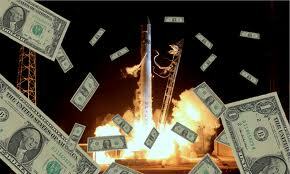 I’d also like to note that most if not all of these so-called commercial space companies are raking in all the government subsidies they can get (called by other names, of course – NASA Space Act agreements, state bond financing, and so on). All too true in 2013…. In the global, networked, 24/7 electronic communication we live in today, it’s easy to build buzz online, virtually for nothing. Witness what’s just happened: yesterday “PayPal Galactic” issued a press release about its formation, this morning dozens of headlines touted the contents of the release, and a press conference is scheduled for later today. Who needs an advertising budget when it’s this easy to get attention? The Cold War ended a quarter century ago. The global political environment we live in today is different. I do believe that space exploration is worth pursuing – to learn more about the universe we live in, to better understand who and where and why we are. I’ve chosen to work with NASA science programs because these are the goals they aim for. Corporations will not be “exploring” space for profit. They will be exploiting. The “commercial space” movement is largely driven by wealthy white men* – the same demographic that’s been running the show for centuries. Isn’t it time for a change? * I know there are exceptions, most notably NASA deputy administrator and commercial space advocate Lori Garver. But they are far and few between.